It is a key priority of your RIT Staff Council to communicate clearly with and on behalf of our constituents, RIT staff and highlight the important work of our staff and how they contribute to the RIT community. To achieve both of these goals, Staff Council is delighted to bring you this series that will highlight a member of the RIT community in a short, but informative interview. 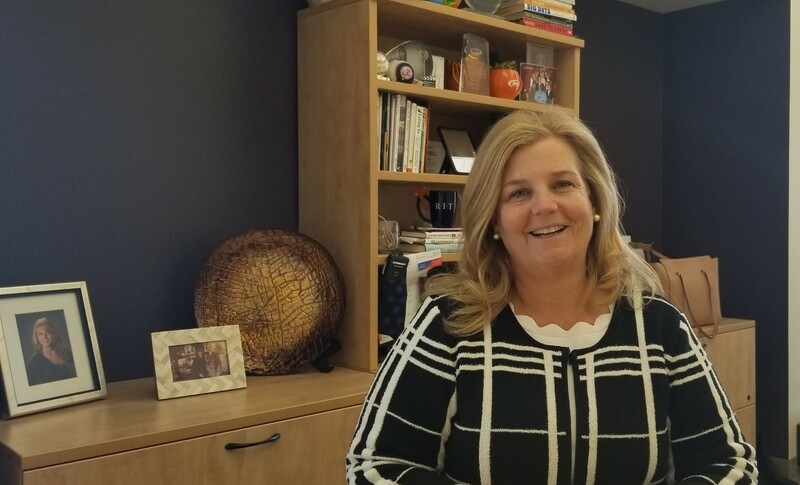 We continue our series by introducing you to Rauncie Ryan, an RIT alumna who works with graduate students as the Assistant Dean of Graduate Student Success. For the remainder of year we will alternate between highlighting an RIT staff member and a member of Staff Council. If you would like to nominate a staff member that you think we should interview, please let us know by filling out this short nomination form or email us at staffcouncil@rit.edu. (SC): Tell us a little about your RIT career. How long have you worked here and in what roles? (RR): I have been at RIT for 10 years. I started out working in the parking office and over a 10-year period I worked up to my current position. I always believed that I could rise higher at RIT and worked hard to be successful. I took a job in the COLA Dean’s office, finished my B.A. and became an advisor. One year later I applied and was hired as Assistant Dean of Graduate Student Success. I will celebrate 5 years in this position on December 3rd. (SC): What do you enjoy most about your role as Assistant Dean of Graduate Student Success? (RR): The thing I love the most is the interaction I have with Graduate Students. I love guiding them to the right resources or brainstorming with them about how we can grow the RIT graduate community. Getting to know students over time and then seeing them go out into the world and make a difference is probably the most fulfilling part of my job. (SC): Tell us a little about who you are outside of your RIT Experience. (RR): I am the producer of several art shows including the Voices of Survivors art show which is at RIT each year. This art exhibit showcases the work of survivors of violence and tells each of their stories. I am also very active in my spiritual community. 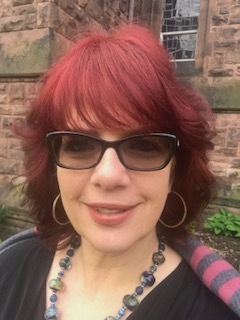 I am a High Priestess who does weddings, funerals and helps families in crisis within the pagan community. I have a little 10 pound dog named Mister Bojangles who thinks he is a 100 pound dog who is the love of my life. I am a cosplayer and have an entire closet full of costumes. I have two grown children and 9 amazing grandchildren. (SC): What is your favorite RIT event and why? (RR): My favorite RIT event over the years has been the Tiger Walk. I always enjoy the excitement of welcoming new Tigers and the friendly competition between colleges to be the most creative in welcoming them. This next Fall Graduate Students will be included in the Tiger Walk for the first time and I will be there to welcome them with my tiger ears on. (SC): What is your most memorable RIT experience? (RR): My favorite memory was the day my name was called during the Presidential Staff Awards ceremony as the winner of the 2012 Isaac L. Jordan Sr. Staff Pluralism Award. What made that so exciting? Hearing the students in the LGBT and pagan community mentioned, and hearing words like pagan, Lesbian, Gay, Bisexual, transgender, and survivors of violence, being spoken from the podium by our highest leadership. This made me hopeful that our students at RIT would continue to receive the resources and services they need. It was truly a memory I will always carry with me and reminds me of why I love being at RIT, to serve our students—all of them. Thank you, Rauncie, for your dedication to RIT and our community!